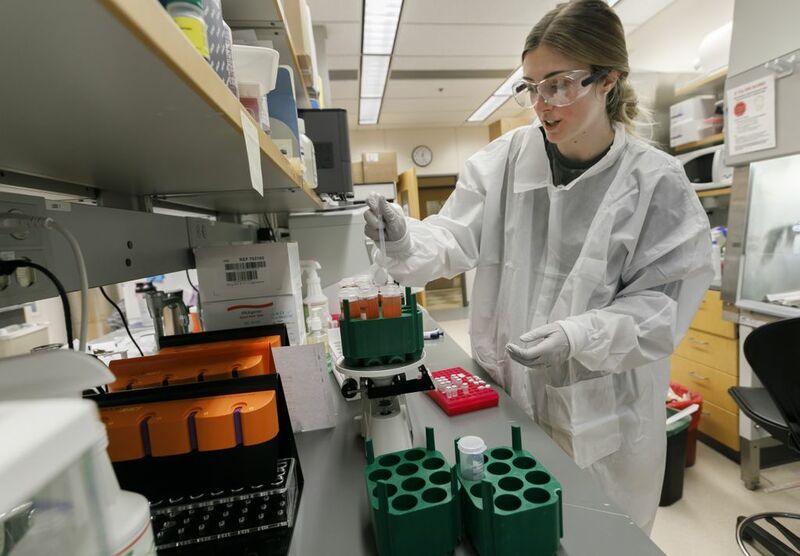 The vaccine eliminated up to 80 percent of the bug in inoculated monkeys at OHSU’s primate center in Beaverton, said Klaus Fruh, lead researcher on the project and professor in the university’s Vaccine & Gene Therapy Institute. Not killing all the bugs means that the monkeys were likely to develop malaria. But the fact that a high percentage were killed showed that the vaccine had an effect and that the approach holds promise. There are no effective vaccines on the market against malaria though one does provide some protection for children. But it wanes over time. This OHSU vaccine would remain effective for a lifetime. Though the vaccine is not ready for prime time yet, Fruh said, it offers hope for an eventual vaccine that would protect people against the disease, which is rampant in developing countries. Results of the study, which was five years in the making, were published in the journal Plos One. Malaria is spread by mosquitoes. The parasite’s life cycle is multi-fold but basically, when it enters the body, it races to the liver where it reproduces and then is released into the bloodstream. It infects red blood cells, causing them to burst, which in turn produces fever and other symptoms. If not promptly treated, the infection can cause kidney failure, seizures coma, and death. Most of the infections occur in Africa. The goal of Fruh’s vaccine is to halt the parasite in the liver before it does any damage. It works by relying on another virus, cytomegalovirus, a common human virus that usually does not pose a health problem. The cytomegalovirus acts as a vehicle, carrying bits from the parasite into the body where it trains killer T cells to kill the parasite. OHSU scientists have used this same technique, based on cytomegalovirus as a vehicle, to create vaccines against HIV, the virus that causes AIDS, and tuberculosis. Fruh said using against malaria makes sense because the liver contains a concentration of killer T cells. But the parasite also poses a big challenge because it’s complex and the scientists have to stitch the right combination of proteins from the parasite onto the cytomegalovirus to train killer T cells to wipe out all of the parasites. Fruh estimates it could take another two years of tweaking and experimentation with monkeys to reach another breakthrough, potentially leading to a clinical trial on humans. Have a tip on health care research or the industry? Get in touch. You can reach Lynne Terry at [email protected].